Learn here how to reset toner error in modern printers Brother, follow the steps below. 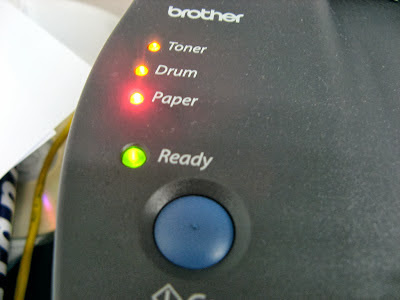 Brother printers with toner, like almost all printers on the market have a page counter, only these have a piece that activates a message when it has used up the toner powder inside. Toner Brother HL2130 printer, apparently has not brought this method, the manufacturer has have realized that it was easy to restore the levels we have now got another way to do it, even a little easier since you only need to press a few buttons. The procedure for restoring toner cartridge for Brother HL2130 printer, follow the process very carefully and if you have any problems at the end or get the desired results, just write a comment at the end of the publication. As mentioned at the beginning, any problem or change buttons should only write a comment at the end of the publication.